Overview：Contemporary art. 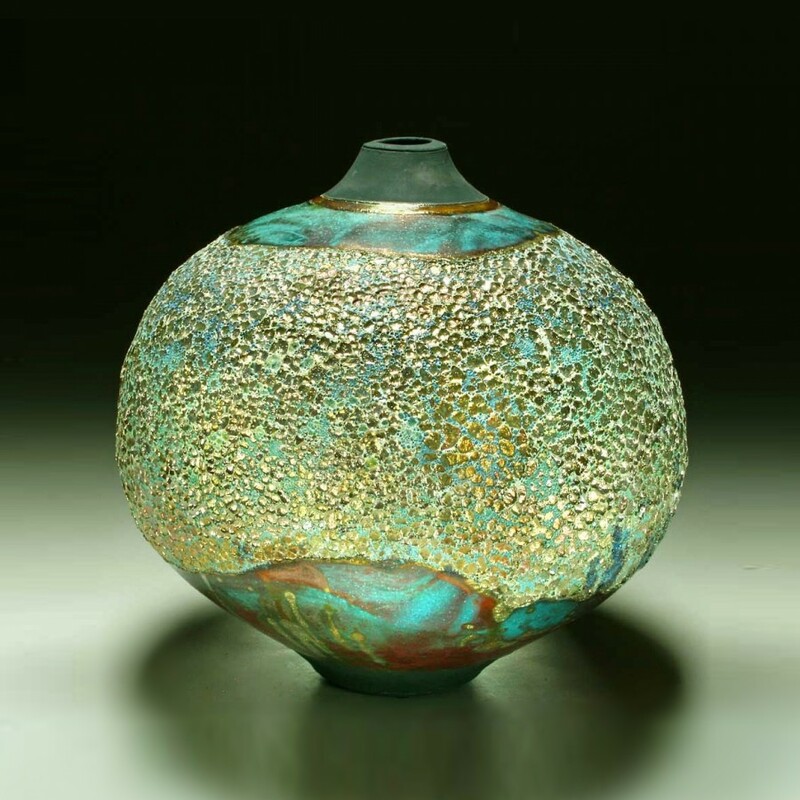 Raku Pottery, 11"H x 11"W. This brilliant raku pottery bottle is truly one of a kind. The glittering reds, yellows, blues and greens add a unique vibrancy that will light up any interior space. This flat top ceramic bottle was thrown on the potter's wheel and raku fired. 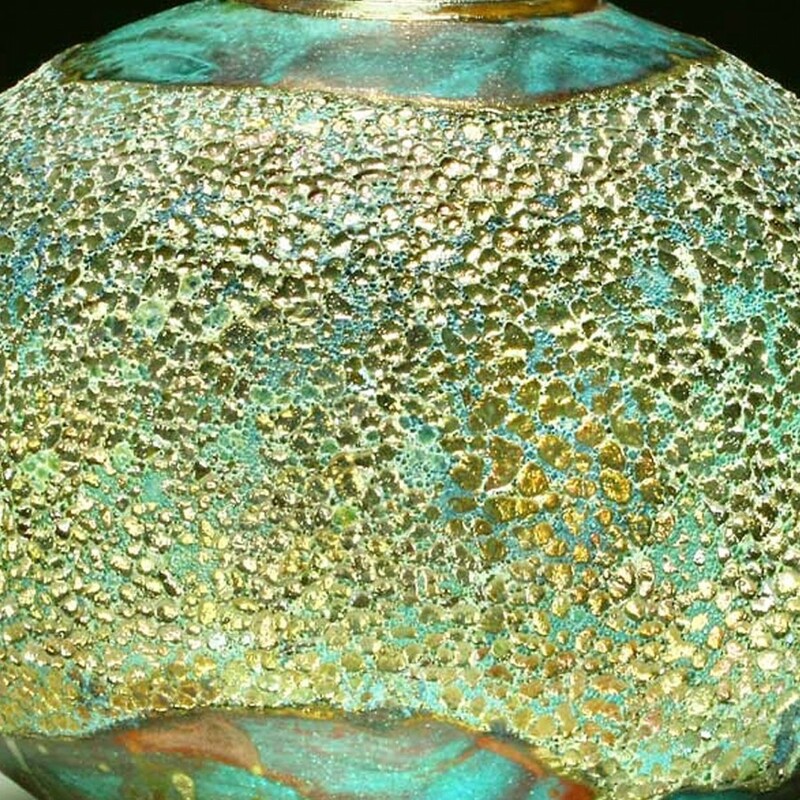 Special homemade glazes were used to bring out the bottle's unique textures and reflective properties. 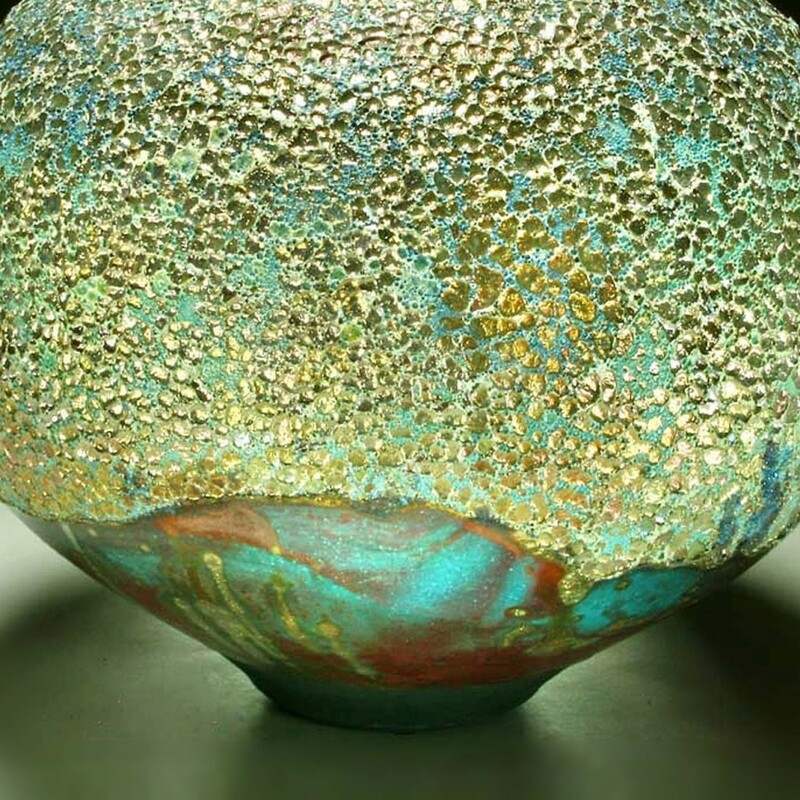 A clear beaded glaze was used for texture over a sprayed underglaze for color.